Product code: VM924 Categories: Home Living, Kitchen Aids. The One-Way Drinking Straw makes drinking easier for people with weak oral musculature or those who have difficulty swallowing. The straw is a dining aid featuring a one-way valve which stays filled with liquid even after removing the straw from the lips, this reduces the air ingested and the effort required by the user, leading to less coughing and choking while drinking thin liquids. The One-Way Drinking Straw makes drinking easier for people with weak oral musculature or those who have difficulty swallowing. The straw is a dining aid featuring a one-way valve which stays filled with liquid even after removing the straw from the lips, this reduces the air ingested and the effort required by the user, leading to less coughing and choking while drinking thin liquids. 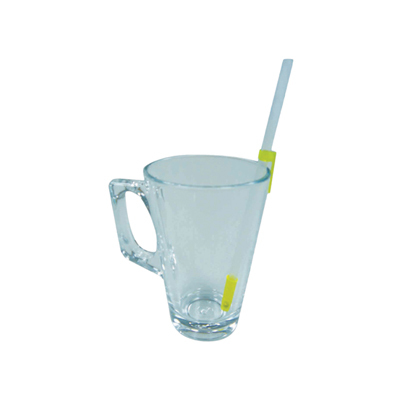 Adjustable clips hold the specially-design one-way drinking straw onto cups and glasses. Below is a list of information regarding the One Way Drinking Straw. If you would like to see more products like this, CLICK HERE. These straws have one way valves which stay filled with fluid even after removing the straw from a users lips and reduce the air ingested and effort required. An ingenious kitchen aid; the Jar and Bottle Opener featuring three inverted rubber cones which securely hold any container upright, allowing it to be opened with one hand. Non-slip rubber feet hold the Spill Not Jar and Bottle Opener steady on the work surface during use.